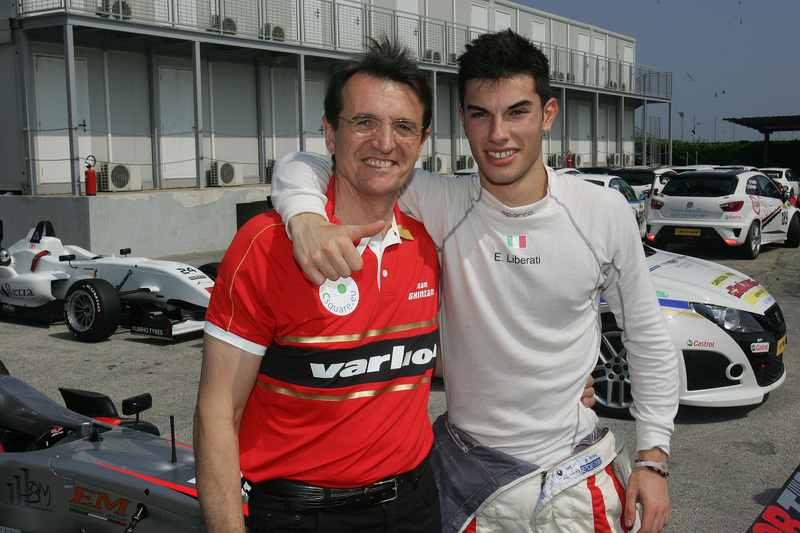 06/07/2011 - The third collective testing day ended with Edoardo Liberati on top of the charts for the third time. Thanks to the laptime of 1'41.793, at an average speed of 173,611 km/h, the driver of Team Ghinzani, that is also leading the Italian Formula 3 2011 championship, set the pace once again. Liberati basically fought against himself and relegated his closest rival, the Frenchman Brandon Maisano (BVM-Target),first of the rookies, to 576 thousands of a second. This impressive performance gap was also proved by the fact that the other nine drivers in the top ten are all within another half a second. Behind Maisano, Sergio Campana (BVM-Target) secured the third fastest time, just 12 thousands shy the Frenchman and a tenth faster than his team mate Maxime Jousse, followed by Kevin Giovesi (Lucidi Motors) in fourth. Facu Regalia (Team Ghinzani) obtained the sixth place thanks to a fastest time set in the second session of morning, as in the case of Maisano, while Eddie Cheever (Lucidi Motors) set the seventh fastest time right ahead of Andrea Roda (Prema Powerteam). Michael Lewis (Prema Powerteam), Victor Guerin (Lucidi Motors) and Raffaele Marciello (Prema Powerteam) followed. Daniel Mancinelli (RP Motorsport) was only twelfth and had to skip the second session of the morning; he set his personal best in 1´43.415, far from the pole position obtained last year in 1'41.994 at an average speed of 173,269 km/h. The appointment is now for the third round of the season scheduled on Enzo and Dino Ferrari's circuit next 17 July.